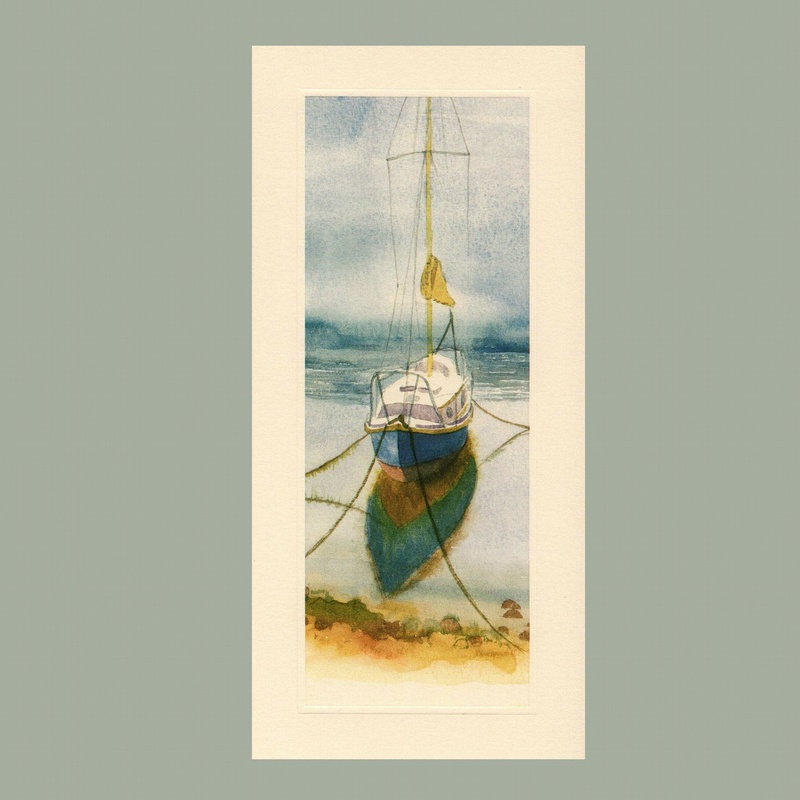 An image of a boat on a misty morning is on the front of this card and the inside is left blank for your own message. A useful card for anyone interested in the coast and boats. A slim card measuring 210 x 99 mm ,with the image of a boat, on cream board.